Finding the right bond fund boils down to pinpointing your financial objectives, risk tolerance, and then actually rolling up your sleeves as you scan and research the investable universe for an offering that best suits your needs. While this task is certainly easier said than done, it doesn’t need to be an intimidating chore if you’ve armed yourself with the proper resources. 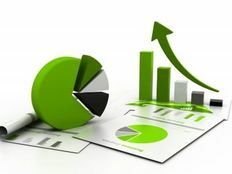 For starters, you need to speak the language of bond investors; that is to say, being familiar with the most basic, and some advanced, terms and concepts is essential for anyone looking to make a well-informed investment. Be sure to also read A Brief History of Bond Investing. In an effort to help you get started, below we take a look at the 25 terms every bond investor should know. Coupon – The amount of interest that is stated on a bond when it is first issued. For the most part, the coupon is paid out semi-annually and it is expressed as an interest rate. Coupon Payment – The actual dollar amount of interest that a bondholder receives. This is calculated by multiplying the interest associated with a bond by its face value. Accrued Interest – The interest earned, or accumulated, on a security that has not yet actually been paid to the bondholder. Face Value – Also known as principal or par value, this is the dollar amount paid to a bondholder at the time of maturity. This is not the same as the price of a bond, which tends to fluctuate, whereas the face value is the known amount that will be returned to the bondholder upon maturity. Maturity – A known date in the future on which the bondholders’ principal is to be repaid. In general, the longer the time to maturity, the higher the coupon will be. Issuer – The legal entity that sells debt securities for the purpose of funding its operations. The most common types of issuers in the bond market are governments, national as well as local, and corporations. Credit Quality – An issuer’s creditworthiness, which is their ability to repay the borrowed funds. For the most part, “investment grade” refers to debt that is of the highest credit quality, whereas “junk” refers to debt of the lowest credit quality. 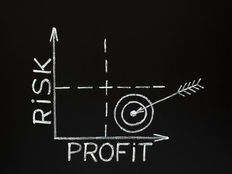 Credit Risk – The risk of loss on principal and/or interest due to the issuer’s inability to entirely meet their contractual obligation. 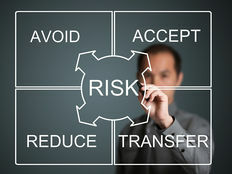 Credit risk is based on the bond issuers’ overall ability to repay the borrowed funds, also known as credit quality. Default Risk – The risk for bondholders that the issuer will be unable to make the required payments on their debt obligations. When an issuer is said to have “defaulted,” it means they have failed to make payment when it is due. Credit Spread – The difference in yield between two bonds that have the same maturity but are of a different credit quality. Typically, the credit spread is expressed in relation to a comparable U.S. Treasury security; in this case, the higher the credit spread, the lower the credit quality of the non-Treasury debt security. Yield Curve – A line that plots the interest rate of bonds that have different maturity dates but are of the same credit quality. The yield curve is often used as a benchmark for lending rates as well as to gauge economic growth. A normal yield curve is one where longer-maturity bonds have a higher yield than short-term bonds; likewise, an inverted yield curve is when shorter-term bonds yield more than longer-term ones, potentially signaling uncertainty in the bond market and in the economy. SEC 30-day Yield – Also known as the “standardized yield,” this refers to the yield calculation developed by the Securities and Exchange Commission (SEC), which reflects the interest earned by bondholders during the most recent 30-day period. Yield to Worst – Commonly cited as “YTW” for short, this refers to the lowest potential yield on a security that bondholders can expect without the issuer actually defaulting. This metric is used to evaluate income requirements for worst-case scenarios. Yield to Maturity – Commonly cited as “YTM” for short, this refers to the total return that a bondholder can expect to receive if they hold a given security until it matures. YTM includes all income earned from coupon payments plus any capital gains you would receive throughout the life of the bond. Although it is a bit complex to calculate, YTM is useful because it allows for a more accurate comparison between bonds with different maturities and coupons. Yield to Call – Commonly cited as “YTC” for short, this refers to the expected yield of a security if the bondholder were to hold it until the first call date, which is the date when the security is to be redeemed. Callable – A bond that can be redeemed, or paid back, by the issuer prior to the stated maturity date. General Obligation – A type of municipal debt that is secured by the issuer’s pledge to use its taxing power to repay the borrowed funds. Revenue Bond – A type of municipal debt that uses revenues generated from the operation of the project being financed to repay the borrowed funds. For example, if a revenue bond is used to build a new bridge, then the tolls that are collected from passengers are what’s used to pay off the bond. Duration – The measure of sensitivity of a bond’s price to changes in interest rates. Duration is expressed as a number of years and investors will use this metric to predict how sharply a bond’s price might change as a result of changes in market interest rates. Convexity – This metric measures how a bond’s duration changes when market interest rates change. Convertible – This refers to a type of bond that can be converted into a predetermined amount of shares, generally common stock, from the company that issued it. Collateral – This refers to the assets that a bond issuer offers bondholders to secure repayments of a loan. If the issuer defaults, then bondholders can seize the said collateral in an effort to recoup their losses. Zero coupon – A type of bond that does not make coupon payments throughout its life; instead, the bondholder receives one payment at maturity that is equal to the principal plus any interested earned. By taking the time to get familiar with the most basic, as well as some advanced, bond investing terms and concepts, you stand to make more informed decisions when it actually comes time to pull the trigger.